Noah celebrated his first birthday last week. We celebrated the fact that we have both survived the first year of parenting too. Although it’s been a lot of fun watching him beginning to grow into a little person with his own personality it has also been hard. Really hard. All the books tell you that becoming a parent is life changing and also to expect sleepless nights but nothing quite prepares you for parenthood until you start experiencing it yourself. The reality is much, much different to what the books tell you that’s for sure!! There was no mention of the sleepless days as well as the sleepless nights in any of the books that I read! 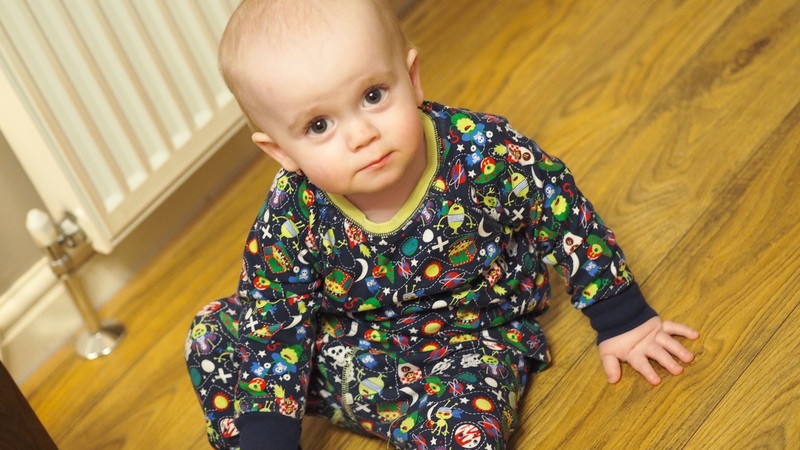 Here are 18 things that I’ve realised the reality of being a mum is…. 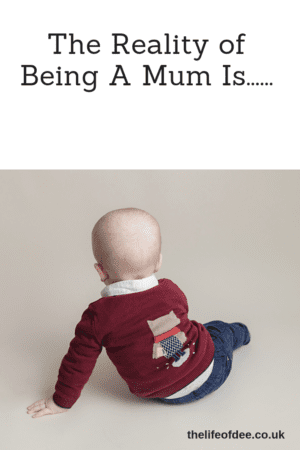 The Reality of Being A Mum Is…. Realising why sleep deprivation is used as a form of torture. Having to enjoy hot drinks at lukewarm temperatures. Spending the whole day cleaning, picking things up, wiping surfaces and it still ends up looking as though there has been an explosion in your house. Knowing the words to all the theme tunes of the shows they watch but having absolutely no idea what is currently in the charts. The washing machine is constantly on but the pile in the laundry basket never goes down. Always clock watching. Is it time for a feed? Nappy change? More Calpol? A nap (lol I wish)? Discovering at the end of the day that you have been walking around with sick, snot, encrusted food, etc on your clothes. Lovingly cooking lots of delicious meals that end up either being spat out or chucked on the floor. Having half the contents of a toy shop in your living room. With the nicer weather approaching the garden is starting to look that way too…. …..as is the bathroom with rubber ducks, pirate ships that squirt water, marine life squirty toys and flashing animals that have taken up residence in the bath. Trying to tidy the toys away that aren’t being used means that they want to play with said toy. Right. Now. Realising it’s 3pm and you haven’t brushed your hair today. Making your home safe. Cupboard locks, corner protectors, stair gates, etc. Then forgetting about the cupboard locks and nearly taking your arm out of its socket when you try and pull the door open! Shoving on whatever clothes are clean in the morning but taking 10 minutes to plan their outfit for the day. No longer carrying a handbag but instead you need to have a bag of Mary Poppins proportions. Nappies, wipes, bottles, snacks, change of clothes, cuddly toy, muslins, changing mat and if you are lucky you might just be able to cram in your lipstick, purse and keys. Having 457842 things to do that day but only 24 hours to do it in. Hoping that no one sees you doing stupid dances to make your child laugh and prevent them from having a meltdown…..
…..or hears you making weird voices for the same reason. Do any of these seem familiar to you? What other ones have you come across, let me know below. "7 Struggles Females Will Understand"
Oh this is all so true! Especially the sleep deprivation thing – I am forever tired! So true. The first point in particular resonated with me because I’m awake with an Insomniac toddler and it’s 3am!